Christ the Redeemer (statue), is an Art Deco statue of Jesus Christ in Rio de Janeiro, Brazil, created by French sculptor Paul Landowski and built by the Brazilian engineer Heitor da Silva Costa, in collaboration with the French engineer Albert Caquot. Romanian sculptor Gheorghe Leonida fashioned the face. The statue is 30 metres (98 ft) tall, not including its 8-metre (26 ft) pedestal, and its arms stretch 28 metres (92 ft) wide. The statue weighs 635 metric tons (625 long, 700 short tons), and is located at the peak of the 700-metre (2,300 ft) Corcovado mountain in the Tijuca Forest National Park overlooking the city of Rio. 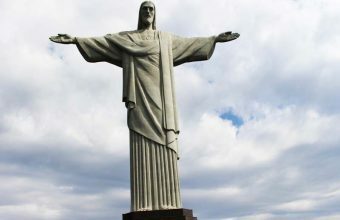 A symbol of Christianity across the world, the statue has also become a cultural icon of both Rio de Janeiro and Brazil, and is listed as one of the New Seven Wonders of the World.It is made of reinforced concrete and soapstone, and was constructed between 1922 and 1931. See exclusive footage Christ the Redeemer (Cristo Redentor) 7th wonder of the World in Rio de Janeiro Brazil, also see the Church in the back of the statue as well as some of the greatest scenery one can see in Rio de Janeiro Brazil . 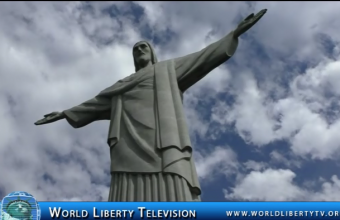 See more of Christ the Redeemer (Cristo Redentor) 7th wonder of the World in Rio de Janeiro Brazil-2017 in World Liberty TV Travel and Tourism Channel by Clicking here. 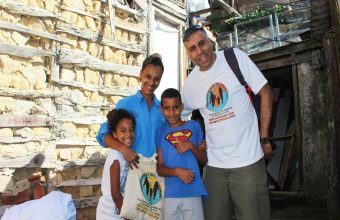 The Most important part of the Tour was , The Presentation to Homeless, Needy and Poor families in one of the poorest neiborhoods Santa Marta Favela in Rio de Janeiro ,Brazil .Where Michael Jackson – They Don’t Care About Us – favela Santa Marta Rio shot his video . We were introduced to Mr Elias Duarte, who is a local tour Guide in the Neiborhood , he asked us what we wanted to do, we told him about our Mission of Humanitarians of the World Inc, (HOTWINC), is helping the poorest of Poor around the World and we wanted to give the Gifts to many of the Poor Families and Children, in the Santa Marta Favela, Mr Elias did not speak English only Portuguese , and very little Spanish and one of our team members spoke to him in Spanish and he translated back to us. First Person he introduced us was an older lady in her 70’s , who had 10 children and most of her Children are dead or in jail and she was taking care of 15 Grand Children ,in her apartment. The Apartment was crumbling, very poor infrastructure, no furniture and a lot of Debris . So we can carry on and on with so many stories of Poverty and more poverty ,See exclusive footage right here in this video.Elias after that took us to the Michael Jackson , Statue which is erected on the 4th Level , where we distributed the Gifts to many of the Poor families, so I asked through the interpreter , why did Michael Jackson , do the Video here in at Santa Marta Favela, Rio de Janeiro, where he could of did it any where.Elais replied by telling us that he was here , and was one of the organizers for the Video , and he had asked the question to Michael Jackson, and was told ,Michael cared about the People and read and heard so many stories about what was happening in the Santa Marta Favela, and with his They Don’t Care About Us Video wanted to bring attention World Wide, and showcase it in a positive way. In conclusion, I was blessed to have a tour guide, like Elias who informed us about all these things , and took us around from the Goodness of his heart, without charging us anything, as I tried to give him some money for his time, he again refused to take it, and told me if people like you can come from New York to help my people, then I can least do this by donating my services. 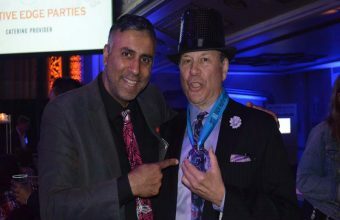 For me and my team it was a great lesson ,and a wonderful opportunity to continue our Mission with Humanitarians of the World Inc, (Hotwinc), helping the Poorest of Poor in the World . This is a must tour if you like water, mountains and open sea tour, we like to start of by thanking Javier Terol our Tour guide who was on top on his game explaining everything we needed to know about this tour, and spent huge time with our team , that we got the necessary information we needed for our World Liberty TV , Travel and Tourism Channels, Thank you Javier . 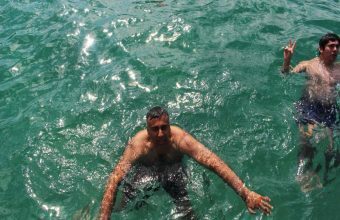 In this Video you will see exclusive footage of Agra Dos Reis and the 365 Islands, Clear water from the Atlantic Ocean, Swimming, Boating, Snorkeling, exclusive footage of the Blue Lagoon, with fish’s swimming by, yes you will see me swimming in the Blue Lagoon with the fishes. Located 155 Km from Rio de Janeiro, in the region of the Costa Verde, 365 Islands and more than 50 beaches form one of the most famous bays in Brasil: Angra dos Reis. It carries this name for it was discovered in January 1502, Day of Kings. The best program in Angra`s bay is to go on a schooner tour through the Cataguás, Gipóia and Francisco islands. The built-up area of the municipality also has its charms, featuring a rich historical heritage with churches, plazas, mansions and museums. See more of Tour of Angra dos Reis and 365 islands in Southwest of Rio de Janeiro Brazil-2017, in our World Liberty TV , Travel and Tourism Channel by Clicking here. 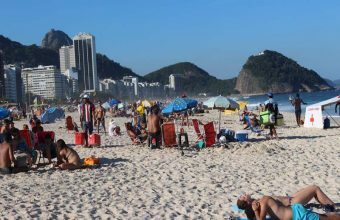 We had the pleasure of being on the most recognized and world renowned beaches in the World, World Famous Copacabana and Ipanema Beaches in Rio De Janeiro. You will see exclusive footage of both of these beaches, People Swimming, Dancing, eating, playing Beach volleyball, Soccer . Also many restaurants and small café’s , as well as many vendors selling sovereigns. Stretching 4km, Copacabana is the longest Rio city beach! There is a subtle transition between Leme and Copacabana at Princesa Isabel Avenue which cuts across to Bota Fogo via a tunnel. The curvature of the bay provides thousands of stunning views and while swimming in the sea you can see classic Rio hills such as the Pão de Açucar. 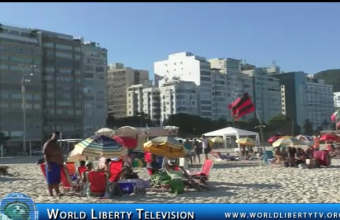 See more about World Famous Copacabana and Ipanema Beaches in Rio De Janeiro -2017, in our World Liberty TV, Travel and Tourism Channels by Clicking here. We started our Tour of Rio de Janeiro on May 12th till May 17th 2017, our team stayed at the Windsor Excelsior Hotel ,in Copacabana right across the Copacabana beach , one of the best locations one can stay at when going to Rio de Janeiro Brazil. We covered so much here , before anything we like to thank our Tour Guides who took us on tour and was instrumental each step of the way explaining everything very clearly at each destination we stopped by at .Regina Cabral ,from Regina Cabral Turismo Company which you will see throughout the video. We covered the following destinations in Rio de Janeiro Brazil, which you will see exclusive footage in this video. The following sites are showcased: Corcovado City Tour to Christ Redeemer Statue, the 7th Wonder of the World, Tour up the Sugar loaf Mountain, Downtown Rio Historic site, Flamengo Park and district, Escadaria Selarón, also known as the ‘Selaron Steps’, is a set of world-famous steps in Rio de Janeiro, Brazil. They are the work of Chilean-born artist Jorge Selarón who claimed it as “my tribute to the Brazilian people” Outside tour of The Maracanã Stadium, officially Estádio Jornalista Mário Filho, is a football stadium in Rio de Janeiro, Brazil. The Site of The Carnival in Rio De Janeiro, one of the best-known parties in the world, is also the largest carnival celebration in the world. 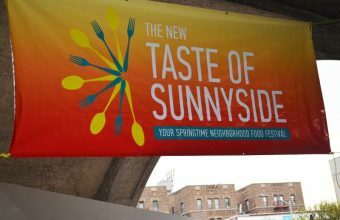 It’s filled with music, parades, drinking and people having fun. 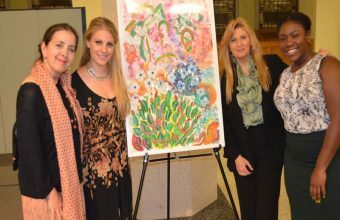 The carnival, a national holiday in Brazil, runs from Friday night to noon of the following Wednesday. That’s the official length, but many Brazilians turn it into a 10-day holiday. It brings in about half a million foreign tourists each year. Down Town and Santa Teresa, Guanabara Bay is an oceanic bay located in Southeast Brazil in the state of Rio de Janeiro. On its western shore lies the city of Rio de Janeiro and Duque de Caxias, and on its eastern shore the cities of Niterói and São Gonçalo. The Metropolitan Cathedral of Saint Sebastian better known as the Metropolitan Cathedral of Rio de Janeiro or as the Cathedral of St. Sebastian of Rio de Janeiro, is the seat of the Roman Catholic Archdiocese of São Sebastião do Rio de Janeiro , Princesa Isabel Avenue , Bota Fogo, Leme and many many more locations. 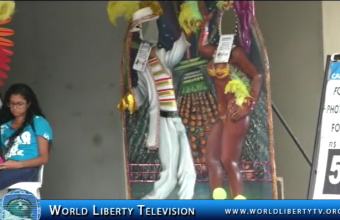 See more about Tour of Rio de Janeiro Brazil -2017, in World Liberty TV Travel and Tourism Channels by Clicking here.